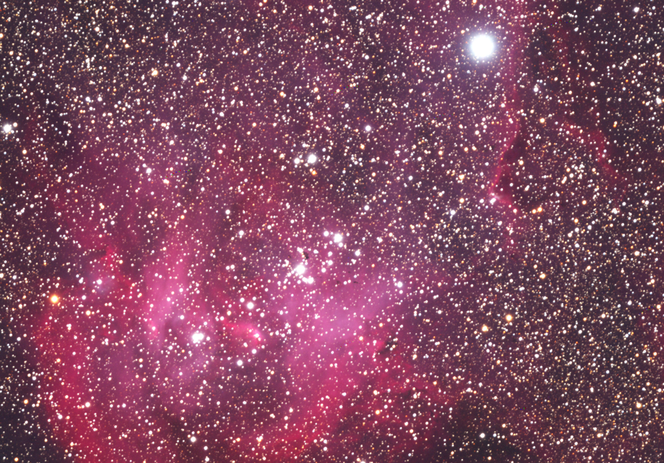 Detail of emission nebula IC 2944, "The Running Chicken", in Centaurus. Small dark patches in the center are cold gas (hydrogen og helium) and dust (silicates og carbon). Each patch is several hundred times larger than our solar system.